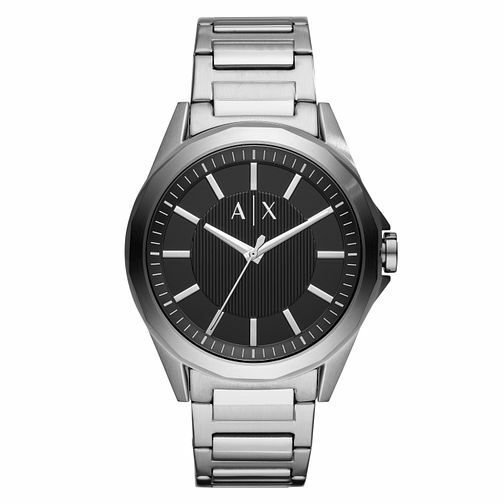 This smart 44mm watch features a sleek black dial, three-hand movement and sturdy silver tone stainless-steel bracelet. This minimalistic and modern approach provides a practical and understated design. This watch is water resistant up to 100 metres.